There are some pretty stunning and historic grand tourers at the Goodwood Festival of Speed. From classic Aston Martins to Jaguars to Ferraris, it’s a tough crowd to stand out in. However, the BMW 8 Series still managed to make an impression. In this video from BMW UK, we get a quick walk around of the new 8er at the BMW stable yard in Goodwood. 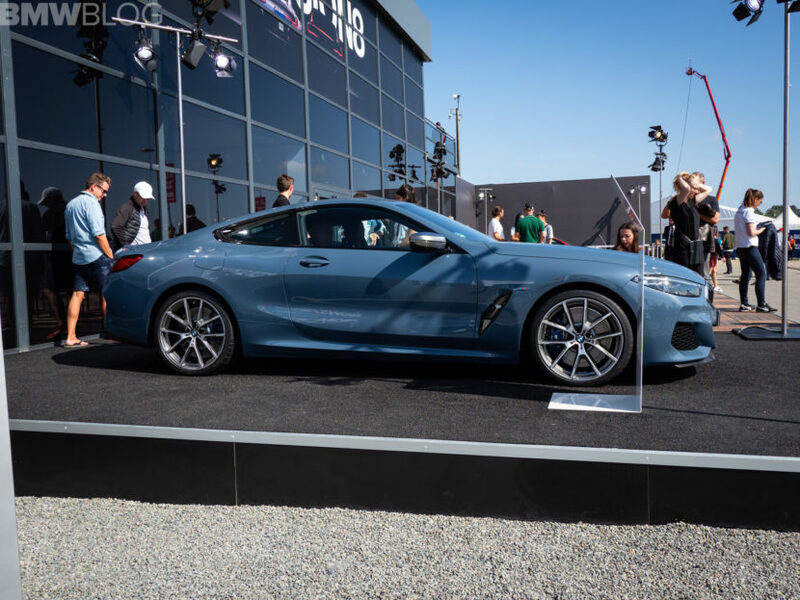 Even among the gorgeous, classic GT cars, the new BMW 8 Series looks at home there, in Goodwood. Its long hood, short rear deck and muscular fenders give it classic GT proportions that look right at home among some of the greatest GT cars of all time. Don’t get me wrong, the 8 Series isn’t anywhere near as pretty as something like an Aston Martin DB5 but it’s certainly not an eyesore among cars like James Bond’s Aston. The new 8 Series is also probably the best looking BMW in a long time. Certain design elements might seem a bit odd to enthusiasts, such as the merged Kidney Grilles, but some design elements are just killer, such as the aggressively raked rear roofline that merges into the built-in decklid spoiler. Also, the way the LED taillights work their way upward into said spoiler looks great. What’s also interesting is that the BMW M850i, seen here in the video, is the only non-M production BMW to feature a carbon fiber roof, with a pseudo double-bubble design. The double-bubble pays homage to vintage race cars, which required such roofs to fit drivers with helmets. 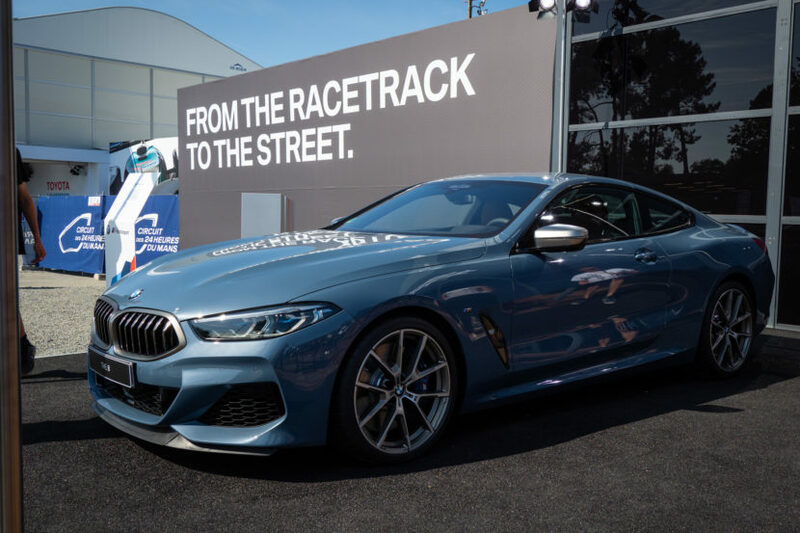 Obviously, the M850i doesn’t need such a roof, as I’d be surprised if a helmet ever makes its way into a customer-owned car, but it’s a cool throwback design cue and it looks good. The 8 Series also looks great inside. Sure, its design is a bit reserved and is nowhere near as flashy as something like the Lexus LC500. But so was the original 8 Series. That’s just sort of what BMW has always done. Overall, it’s impressive that the new 8 Series could stand among legends in Goodwood and not be shamed by them. It may never be as pretty as the aforementioned DB5 or a Jaguar E-Type but it can hold its own in their company and that’s about as high a compliment as it gets.